The Boreal Brewers will be helping to keep the Octoberfest tradition going in Grand Rapids, by again serving beer samples at Klockow Brewing, on Saturday, September 29th. The event begins at noon, so be there early to be able to pull up and get set up to serve beer. The gravel street will be unavailable for parking. We will be in the parking lot, so bring a tent or cover if you have one. It’s not supposed to rain, but it will be cool. We should be out of the SW wind. Music will be provided by Klockow Brewing (Doctor Kielbasa and the Plucked Up String Band), and German food will be available from Tikes. Bring some of your best, and serve some samples! It does not take up a lot of beer, as we only plan on serving 2 oz. samples. Andy and Tasha Klockow have again graciously allowed us to hold our next brew club meeting at Klockow Brewing in Grand Rapids. 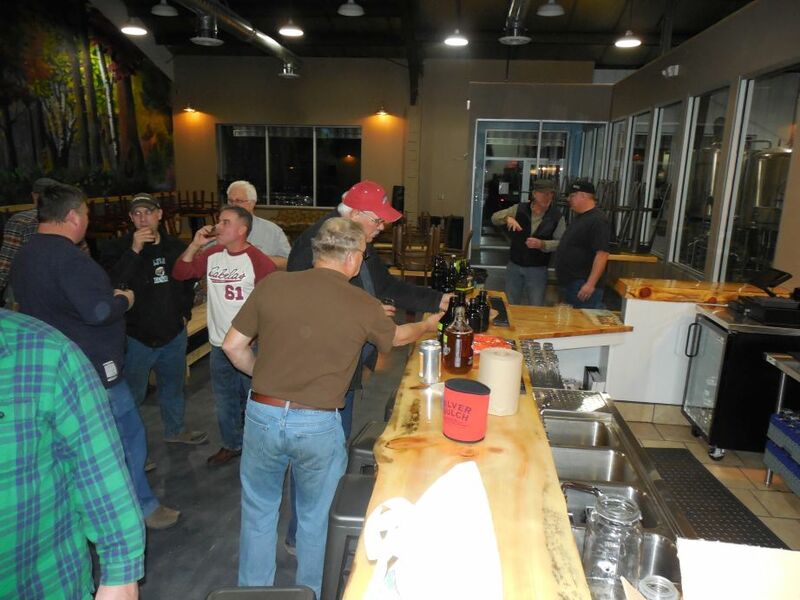 We’ll meet at 6:00 PM Tuesday September 11th, to discuss recent and upcoming tastings, a little bit of club business, swap rumors, maybe discuss a collaboration beer and do some potluck beers and food. We’ve got a couple of bottles of a Black IPA left over from the All Pints North tasting event in Duluth – as the brewers were packing up, one of them told us to grab a case of Black IPA that they were going to leave behind. It’s a Mystery Beer, because none of the recipients caught the name of the brewery, and the bottles are unlabeled. And we’ll probably see some of the beers from the winner’s circle from the Deer River BBQ and Brewfest. We’re planning on helping Klockow Brewing host the Grand Rapids Oktoberfest, beginning at noon on Saturday September 29th. There’ll even be a polka band this year! Time to get planning. 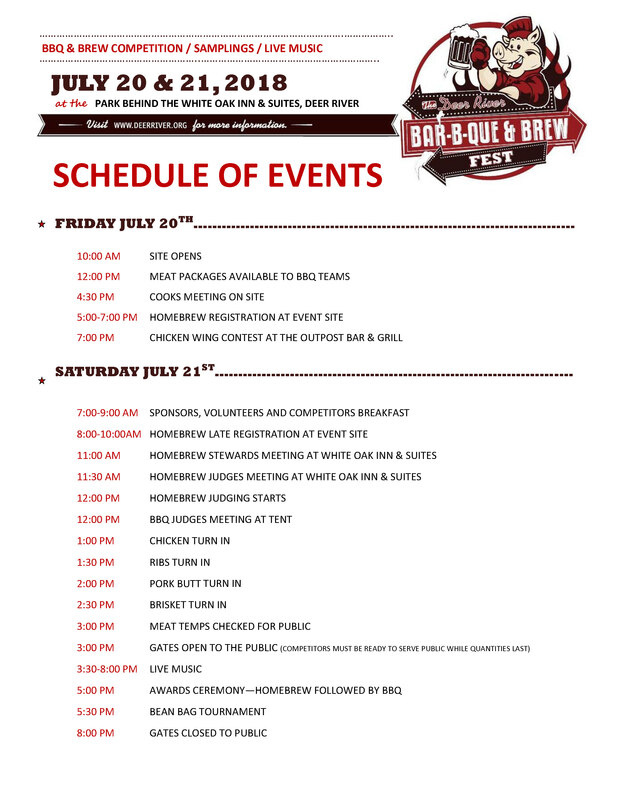 The Deer River BBQ and Brewfest is coming up quickly, Saturday July 21. Homebrewers! This is a great community event, with good beer, good BBQ and a sanctioned homebrew competition to boot! Think about the bragging rights! The 2018 Deer River BBQ & Brew Fest is closing in fast – Saturday, July 21st! WE NEED TO KNOW IF YOU WILL BE THERE, in the homebrew competition. In order to qualify for the free event t-shirt we must receive your registration form ASAP! T-shirts are always a challenge to manage and are one of the biggest expenses for the event. We want everyone to be sporting this year’s t-shirt so please take some time to fill out your registration and send it to David Owens. Even if you don’t have your final lineup of entries figured out – please send in the form with what you have so far in order to secure your t-shirt and let us know you’re coming. You can either send payment along with the registration or bring payment on Friday night from 5-7 PM when you drop off your entries. If you are interested in judging please let Dave know! If you have any questions, please contact Dave or Mike Twite. The Boreal Brewers will be serving at the Taste of Itasca again this year, Tuesday May 8 at the Timberlake Lodge. If you are interested in sharing some beer, please arrive at 4:30 to set up a for 5:00 PM start. This tasting does not require more than a growler or two of any individual beer. Ice will be available on site. If you can, please bring a bottle or two of your best to enter into the live auction. 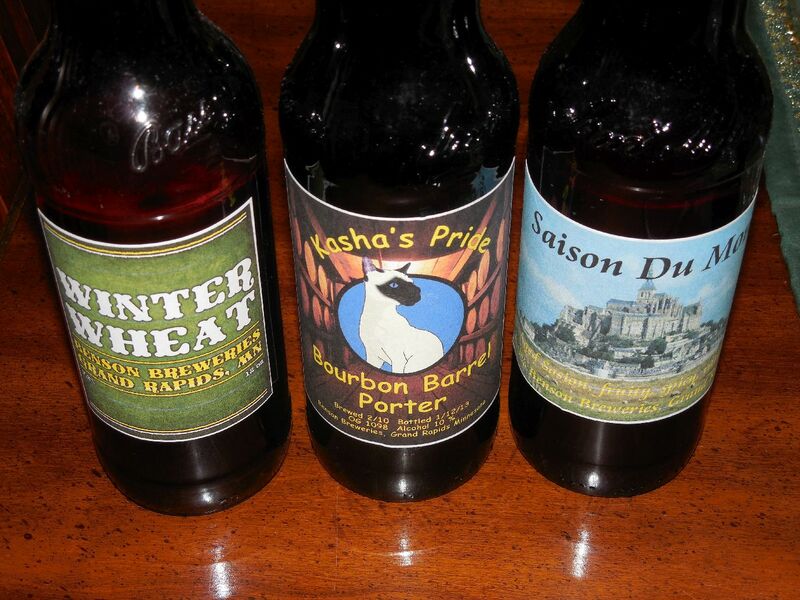 We want to see if we can beat last year’s auction sale @ $175 for a five pack of homebrew. Bring a description of your beer so it can be described at the auction, and it doesn’t hurt to have a label. The oldest known code of laws is the Code of Hammurabi from ancient Babylonia, about 1750 B.C.